Never too Early to Think About Turkey! Now the Fall is officially upon us (I know sometimes the weather in Southern California makes us want to doubt it, though…) it’s nearly time to think about that Holiday Turkey. We have enjoyed fresh turkeys for many years, and there is no comparison with the average frozen supermarket bird. Why Fresh, Organic, Pasture Raised Turkey? 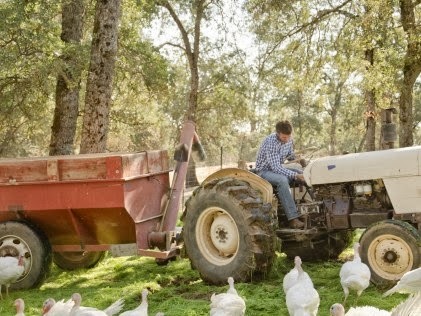 A fresh, organic, pasture-raised turkey just tastes better. One reason is that the mass-producers of turkeys generally raise only one breed of bird–the one that grows the fastest and biggest. Some of the more flavorful breeds aren’t grown on those farms. And the mass-production farms grow one breed for all of their turkeys, from 10 lbs to 40+ lbs. The smaller birds are usually younger and their flavor is not developed. And the bigger birds have been unnaturally overfed. Frozen turkeys are not allowed to age for three days before going to market (which is what the meat needs to become more tender) but immediately put on ice. Mass-produced turkeys are also grown quickly and not allowed to develop naturally. Turkeys need room to roam and grow. Organically grown turkey farmers are committed to giving the birds access to pasture and the open air. Our source for turkeys, Diestel Turkey Ranch, provides four times as much space for the birds as other ranches. They also do not force-feed the birds, but allow them to grow nearly twice as long as other operations. Many mass-producers of turkeys force-feed the birds until they are up to six times their normal weight, and often end up with broken bones or dying from heart-attacks. Many Turkey Ranchers feed their birds a mash of GMO corn or soy, laced with hormones, other growth enhancers, and antibiotics. They do this to cut down on the diseases that are rampant in the mass-produced conditions of caged birds. But Organic Turkey Ranchers are committed to raising their birds without those hormones and antibiotics. The feed is free of pesticides and herbicides, and Diestel Ranch is also has Non-GMO Project Verification. I hope you are looking forward to your Thanksgiving Turkey–Fresh, Organic, and Pasture-Raised! What’s the price per lb? On the diestel turkeys? This post was from three years ago, and while we love Diestel Turkeys (and carry their products year round), we are now offering Shelton’s Turkeys this holiday season. The info about how Diestel raises their turkeys also holds true for Sheltons! 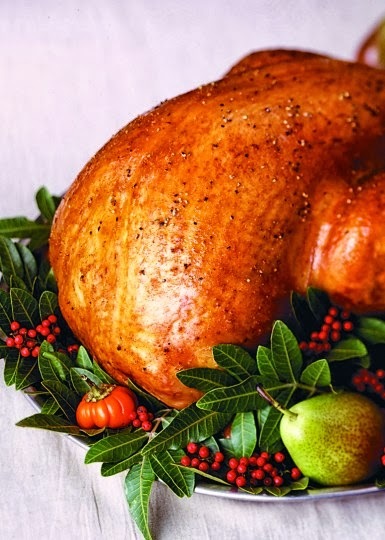 Our Organic Turkeys are $3.99 per pound, and our Natural Turkeys are $2.99 per pound. The deadline has passes to order a turkey, but we do have extras if you’d like to stop in on Monday to see what we have! Have a wonderful Thanksgiving!